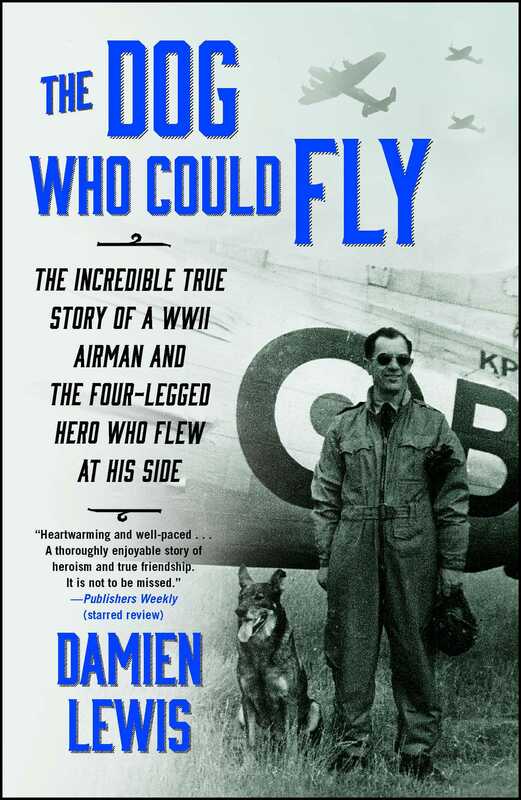 “A thoroughly enjoyable story of heroism and true friendship” (Publishers Weekly, starred review), this Sunday Times top ten bestseller is the true account of a German shepherd who was adopted by the Royal Air Force during World War II, flying countless combat missions and surviving everything from crash-landings to parachute bailouts—ultimately saving the life of his owner and dearest friend. In the early hours of a bitterly cold January day in 1940, a French Potez 63 fighter-bomber aircraft was shot down over the German front line. The French pilot and his Czech gunner survived the devastating crash landing, and in the epic escape bid that followed one of the most remarkable and enduring man–animal partnerships of the Second World War was forged. I first heard about the relationship between the Royal Air Force’s flying dog of war and Czech airman Robert Bozdech in a passing comment made by British soldier and bestselling author Captain David Blakeley (Pathfinder and Maverick One). 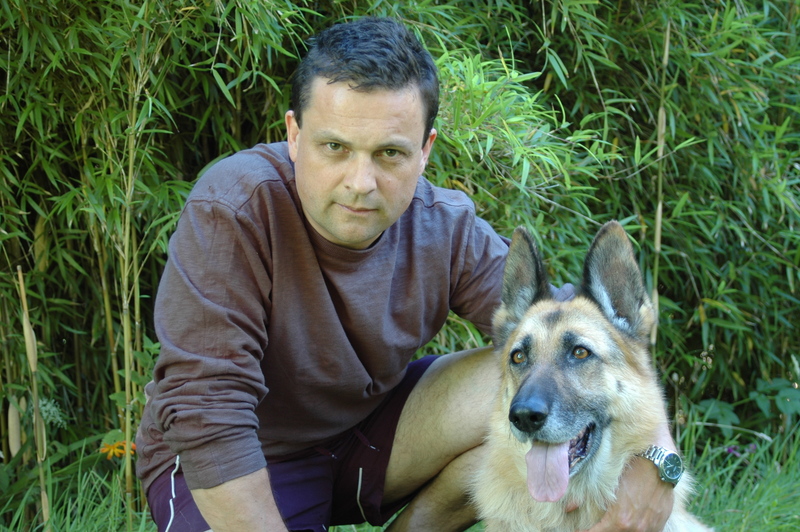 Blakeley—a fellow dog lover—had read two of my previous books about extraordinary man–dog partnerships forged on the front line of war—Sergeant Rex and It’s All About Treo, both of which were coauthored with the modern-day bomb-detection dog handlers whose stories they portrayed. My curiosity piqued, I went on to read as widely as I could about their story (see the references at the end of this book). But one thing struck me most powerfully: while the tale of the heroic man-and-dog duo who fought with Bomber Command during the Second World War had seemingly been told, it remained something of a riddle wrapped up inside a mystery in an enigma. Their story was supposedly related in the 1965 book One Man and His Dog, but Robert Bozdech was not the author of that book. It was written by the late author and journalist Anthony Richardson, and in its pages Robert Bozdech was strangely referred to as Jan Bozdech. Altogether, my reading of it seemed to raise as many questions as it answered. The deeper I dug the more curious it all became. There was originally talk of a film to be made by 20th Century-Fox based upon the heroic duo’s life story, but for reasons unexplained it had never gone into production. I wondered why. This of any story cried out to be turned into a dramatic and compelling movie. There was talk of Robert Bozdech’s dissatisfaction with the book as it was published, but it remained unclear as to what exactly had troubled him. Did that perhaps explain why the book hadn’t used his real name and why the film had never been made? But most intriguing of all to an author such as myself, there was talk of an original manuscript written by Robert Bozdech, one telling the story of his airborne adventures with Ant, but one that had never seen the light of day. I wondered if such a manuscript had really ever existed, and if so what story it might reveal. Surely, it would tell the full and unexpurgated account of Robert and Ant’s extraordinary adventures as written from the heart by the man who had lived it? If such a manuscript had been written it would have been penned sometime in the early sixties—over fifty years ago—which raised the question of whether a copy still existed today. There was only one way to answer these many questions, and that was to make contact with the surviving members of the Bozdech family. After the war, Robert Bozdech had made Britain his permanent home—after a short sojourn in his native Czechoslovakia—settling with his veteran war dog, taking British nationality, and raising a family. I found out that Robert’s son, Robert Bozdech Jr., lived in a picturesque part of the west of England in what turned out to be the family home. I corresponded with Robert, we spoke on the phone, and in due course I traveled to south Devon to meet him, along with his two sisters, Pip and Nina. The rambling house seemed to have been shaped and formed by those who had lived there for so long, Mrs. Maureen Bozdech only recently having passed away. I was given a gracious welcome, and over tea and cake the questions to which I had for so long sought answers began to resolve themselves. Robert Bozdech had helped with the writing of Richardson’s One Man and His Dog, but the two men had not gotten on at all well. In fact, it seemed they had had some blazing arguments along the way. 20th Century–Fox had indeed resolved to make a film based upon that book, but for some reason it had fallen by the wayside. Most surprisingly of all, Robert Bozdech had not been able to reveal his true name—Václav Bozdech—or publish his own story in his own words, because of fears of reprisals against his family in his native Czechoslovakia. Shortly after the Communists took control in Czechoslovakia, Robert found himself a target of pogroms, intimidation, and threats, as did so many Czech airmen, sailors, and soldiers who had fought in the Allied cause. In a form of collateral damage resulting from the Cold War, any Czech with military links to “the West” was seen as being a potential enemy of Czechoslovakia, a state that then formed a part of the Soviet bloc. Hence it was that Robert’s story had been effectively silenced by threats of violence, imprisonment, and worse emanating from the country of his birth. It was then that I put the million-dollar question to the late Robert Bozdech’s family: had their father actually written his own version of his and Ant’s story in a book or a diary, one that had never seen the light of day? He wandered off into a back room, returning a few minutes later with an old-fashioned blue ring binder clutched in one hand. He rubbed it down, dust seeming to dance and sparkle in the sunbeams that streamed through the summer window. “So, how do you come to have a manuscript such as this . . . and yet it’s never been published?” I asked. I thanked the three of them, and as I left their home I felt as if I had a hidden gem clutched under my arm. I wondered if Robert Bozdech had written his manuscript in the very hope that one day it might be rediscovered. I could only imagine that was the case, for what other reason could he have had for doing so? On the drive home I was barely able to resist the temptation to pull into a rest stop so I could dive in. In the peace and quiet of my study I was finally able to devour the story as told by Robert Bozdech, in his own words. His manuscript told a tale of death-defying feats by brave Czech airmen driven to avenge their countrymen, and who refused to be cowed by the Nazi invaders of their country. It was a tale of bitter and bloody action above war-torn France, of a handful of airmen who battled overwhelming odds and far superior German warplanes as the defense of Europe crumbled under the Nazi blitzkrieg. It was a tale of an epic escape from occupied France, and of the remarkable bluff and chutzpah that got Robert Bozdech and his dog, Ant, safely into the UK, along with a handful of fellow Czech airmen. It became a story then of the most remarkable and renowned man-dog duo of the war—Ant becoming famed as the dog who flew countless death-defying sorties with the RAF over Europe. I met several further times with Robert, Pip, and Nina, and they could not have been more gracious or generous in their support. In an effort to better reveal their father and his dog’s incredible story, they dug out and dusted down suitcases full of their late father’s personal effects—ones that had lain half forgotten in the attic of Pip’s Devon farmhouse. They contained dog-eared diary entries and flight logs, faded newspaper cuttings and scores of photographs, all from the time that their father and his dog flew with the RAF in the war-torn skies of Europe. There were postcards home and letters to family. There were scores of articles and short booklets written by Robert Bozdech immediately after the war, in his native Czech. There were even some ancient “four-inch” reel-to-reel tape recordings, ones that contained Robert’s voice telling his and Ant’s story in his own words—seemingly something to do with the widespread media coverage that he and his dog had enjoyed immediately after the war. What emerged from this plethora of material was above all else a story of the unshakable and unbreakable love between one man and his dog, a love that enabled the duo to survive numerous brushes with death in a way that seemed to defy comprehension. Ant (or Antis as he was subsequently renamed) was the only dog to fly and fight with the RAF’s Bomber Command. He was repeatedly wounded on the ground and in the air, and shot down under fire. He had had his own doggie oxygen mask crafted for him by the Bomber Command technicians, and his ever more extreme brushes with death meant that he must have had many more than a cat’s nine lives. In short, the story as revealed in Robert Bozdech’s original manuscript and the associated materials was a gripping account of the most celebrated partnership between man and dog of the Second World War, a tale that remains unparalleled to this day. This, then, is their story, told as much as possible in Robert’s own words. "Heartwarming and well-paced... Lewis takes readers on a roller-coaster ride with as many ups and downs as a bombing mission... A thoroughly enjoyable story of heroism and true friendship, and for lovers of WWII history and animals it is not to be missed." "A great war story, packed with excitement and suspense. But it's the love between the two aviators, man and dog, that will linger in your mind." "A gripping war story and an utterly heartfelt narrative... A stirring drama of WWII that dog lovers will not be able to resist." "A real gem of modern history, both poignant and beautifully told." "Truly epic... Reveals just how deep the bond between man and dog can be... A story of animal bravery which is unlikely to be repeated." "A story of love and loyalty guaranteed to capture hearts." "You'll be wiping the tears from your eyes as you read the story of this orphaned puppy... Damien Lewis has written a tearjerker to touch the heart of even the most hardened member of the anti-dog brigade." "Uplifting... Their bond [is] testament to the relationship forged between man and dog."